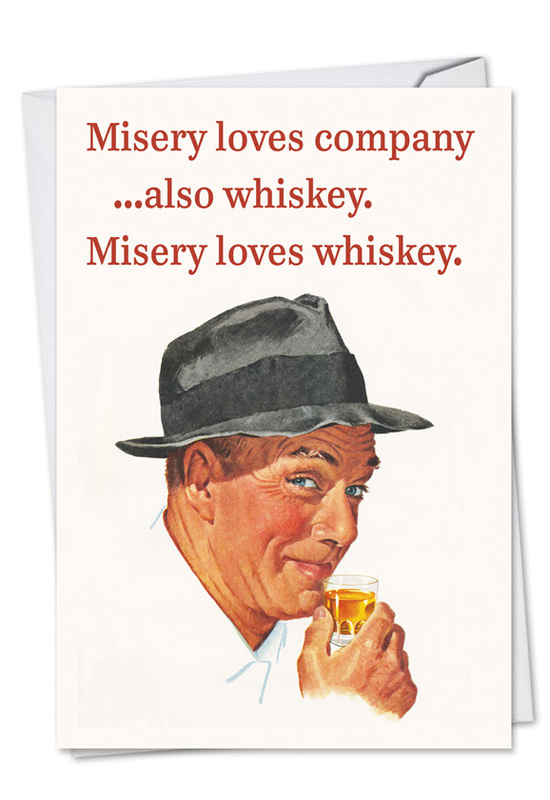 Cover Reads: Misery Loves Company ...Also Whiskey. Misery Loves Whiskey. 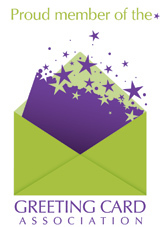 Inside Reads: Another Birthday, You Got To Love It! Drink to good humor and another year passed with the Misery Loves Company Funny Birthday Card available at NobleWorks Cards. 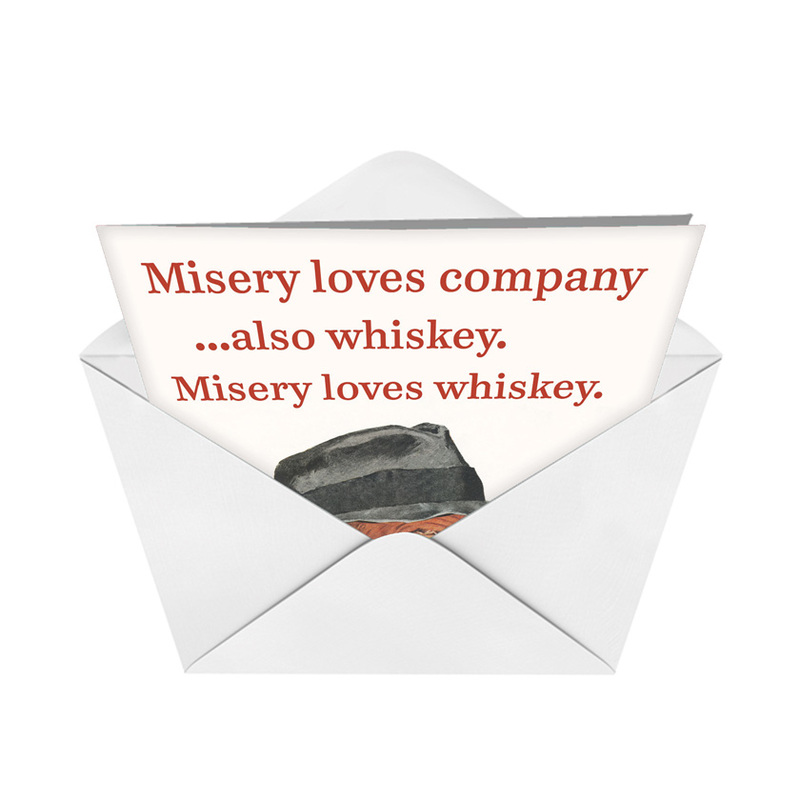 Part of the Talk Bubbles product line of irreverent greeting cards, the Misery Loves Company card illustrated by Ephemera and printed on 10 percent post-consumer recycled paper fiber, offers a booze-addled suggestion for how to erase the pain of turning a year older. 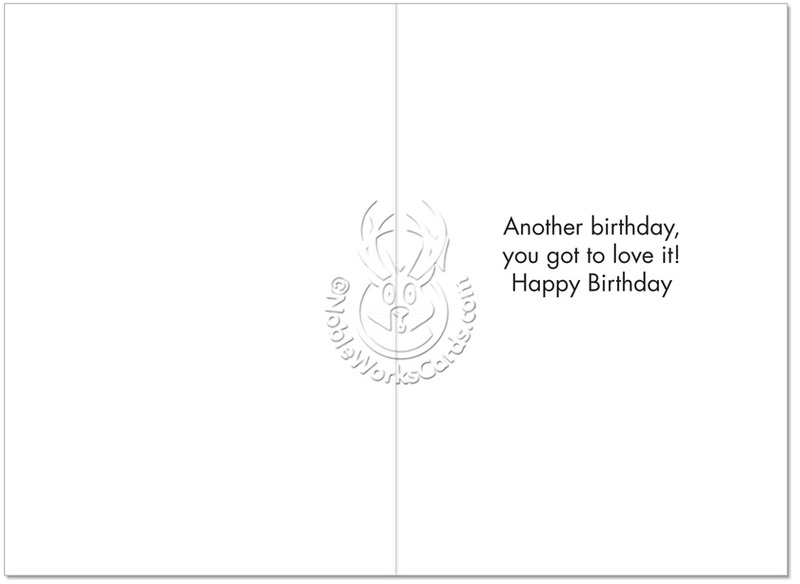 Like much of the NobleWorks line of cards, this one is short on sentimentality and proper decorum but long on laughs. The retro artistic rendering adds to the ironic levity. 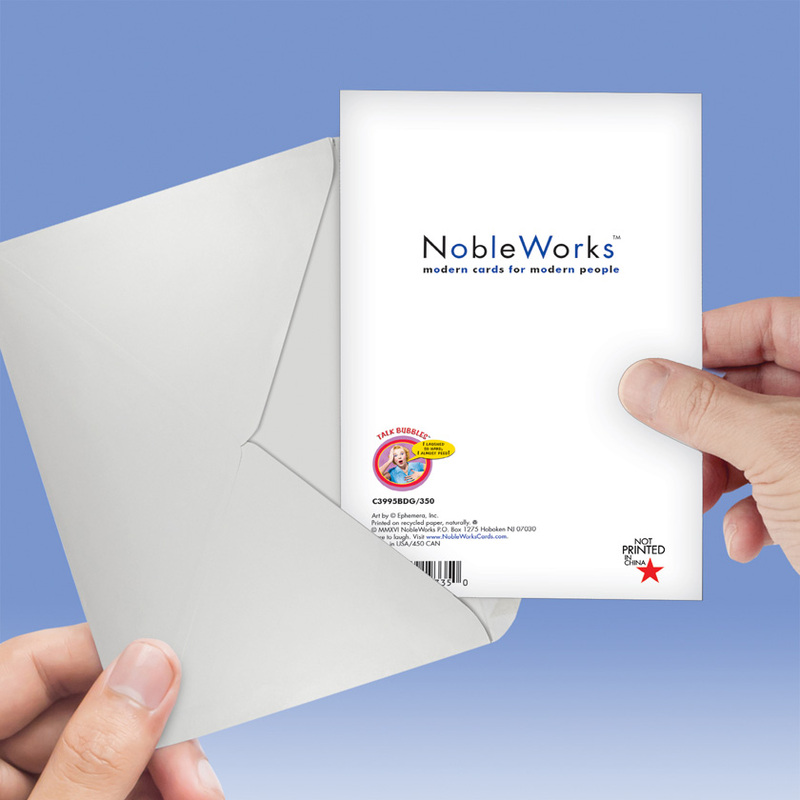 Order from NobleWorks Cards and get this birthday card with free shipping, Order several, and take advantage of the company's bulk rate pricing policy: The more you order, the more you save.